Delegates from across China have gathered in Beijing for a 13-day session of the National People's Congress that will complete China's once-a-decade leadership change. 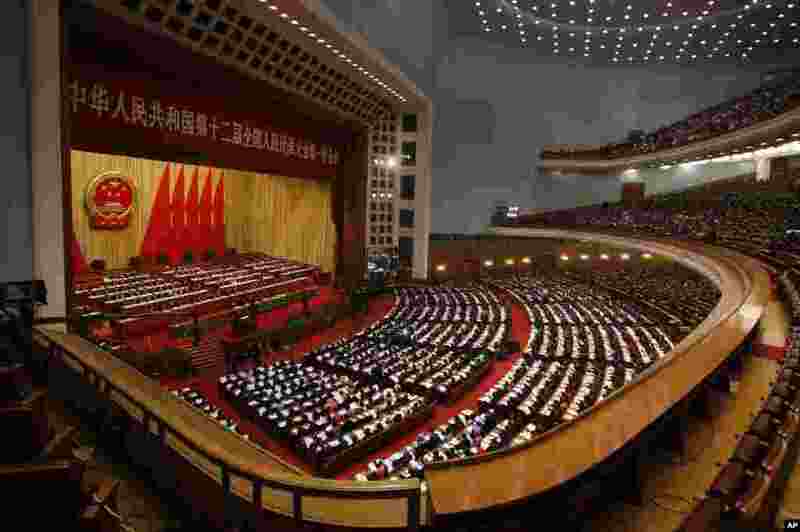 1 Chinese Premier Wen Jiabao gives the work report at the annual National People's Congress in Beijing's Great Hall of the People, March 5, 2013. 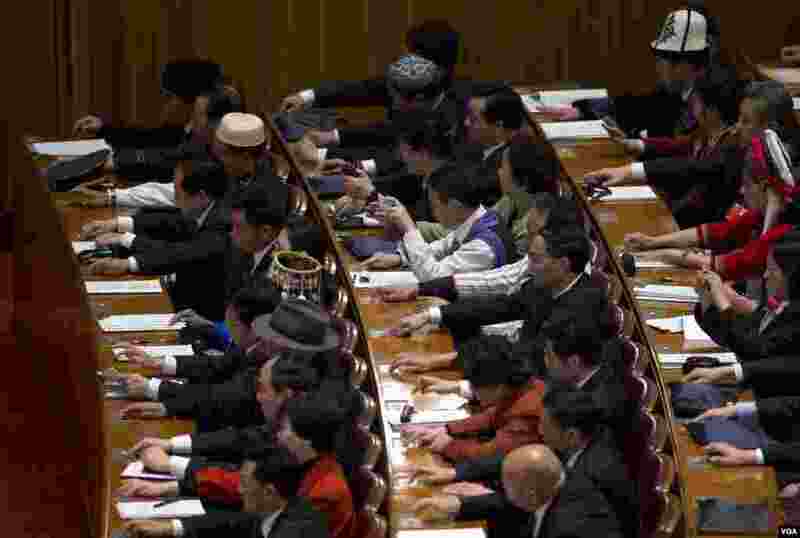 2 Delegates press buttons to cast their approval for draft proposals during the opening session of the annual National People's Congress in Beijing's Great Hall of the People, March 5, 2013. 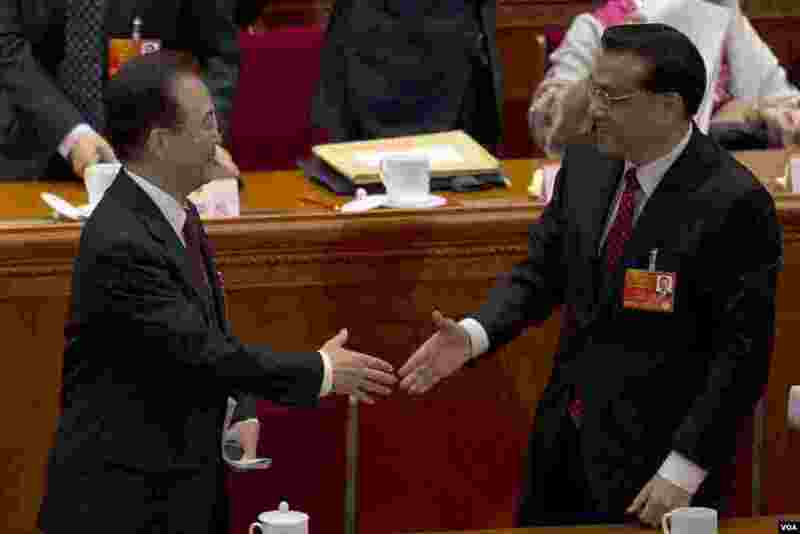 3 Outgoing Chinese Premier Wen Jiabao shakes hands with his expected successor Vice Premier Li Keqiang at the opening session of the annual National People's Congress in Beijing's Great Hall of the People, March 5, 2013. 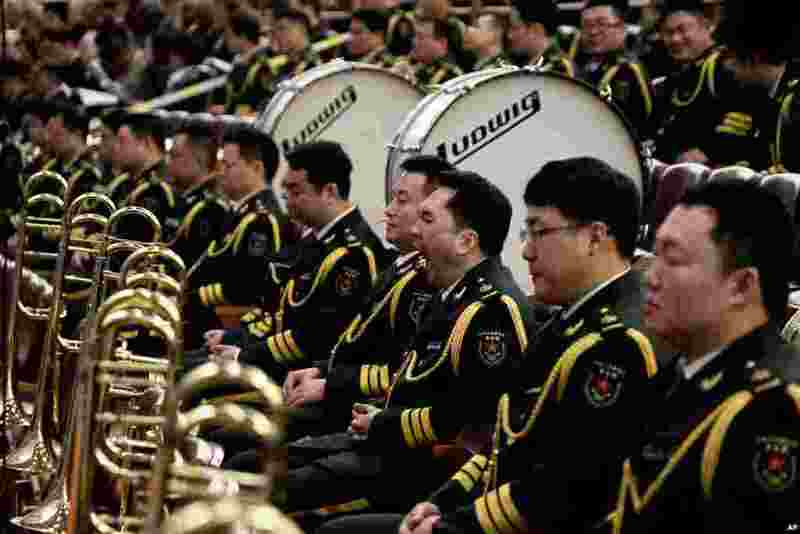 4 A member of military music band yawns while others listen to Chinese Premier Wen Jiabao's speech at the annual National People's Congress at Beijing's Great Hall of the People, March 5, 2013. 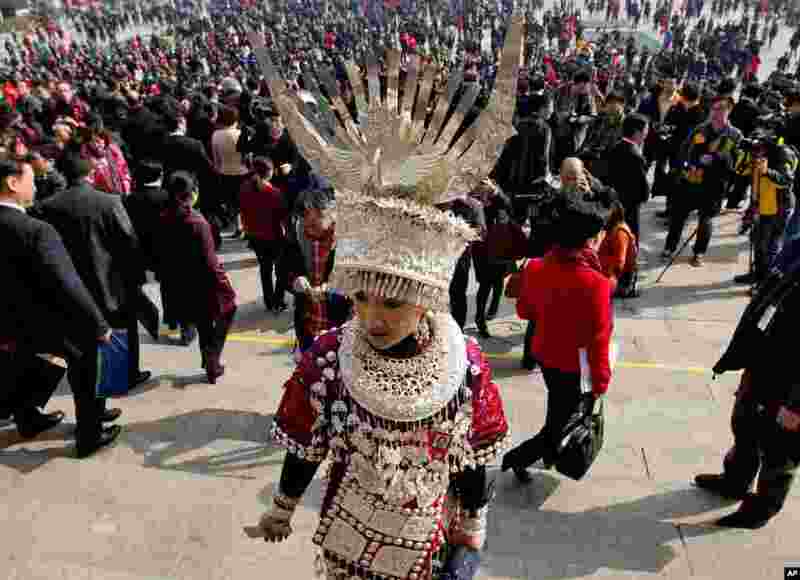 5 A female Ethnic minority delegate walks from the Great Hall of the People after attending the opening session of the National People's Congress in Beijing, March 5, 2013. 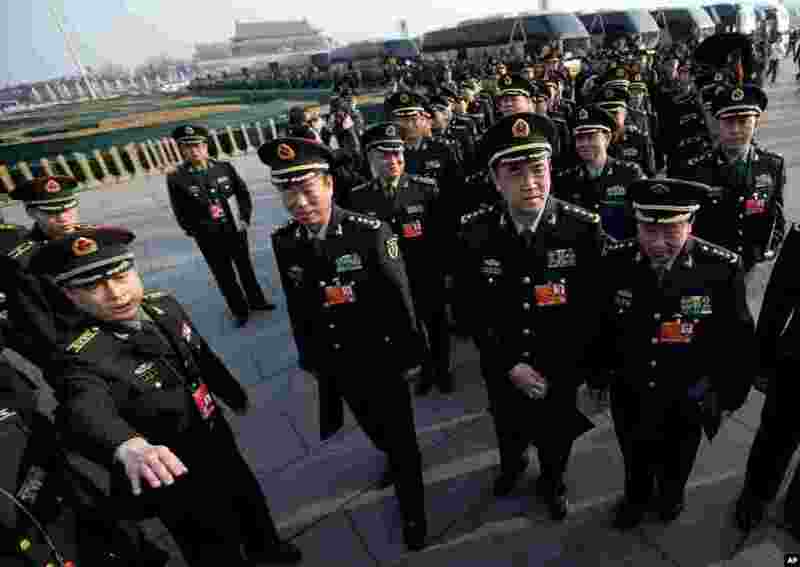 6 Delegates from Chinese People's Liberation Army line up on Tiananmen Square as they prepare to walk toward the Great Hall of the People for the opening session of the National People's Congress, March 5, 2013. 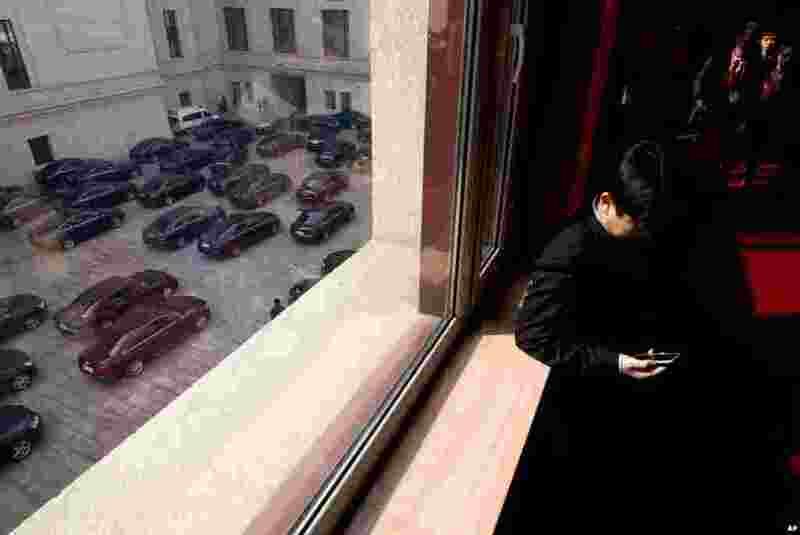 7 A delegate checks his mobile phone while officials' vehicles prepare to leave the Great Hall of the People after the opening session of the National People's Congress in Beijing, March 5, 2013.